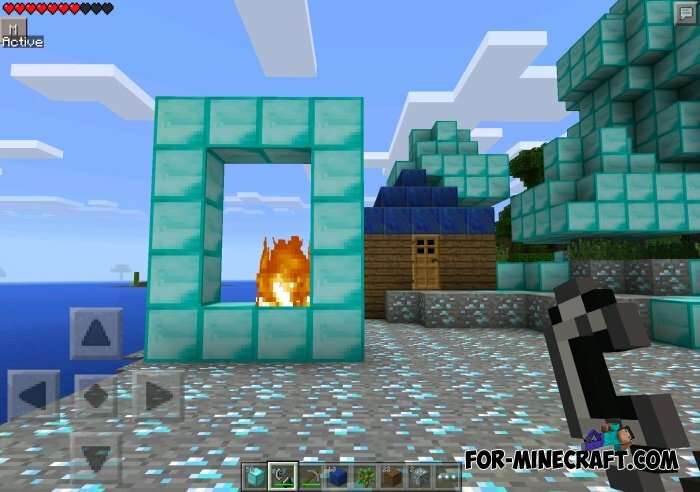 Diamond Portal mod adds to the world of Minecraft Pocket Edition is very precious portal. 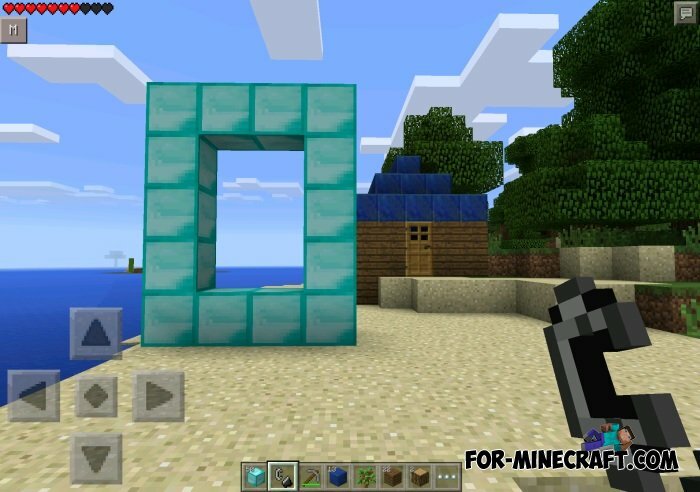 Diamond portal will take you to another dimension where around you will be full of gems - diamond blocks and ores. To build the portal you need 14 diamond blocks. Place blocks as seen in the image below. 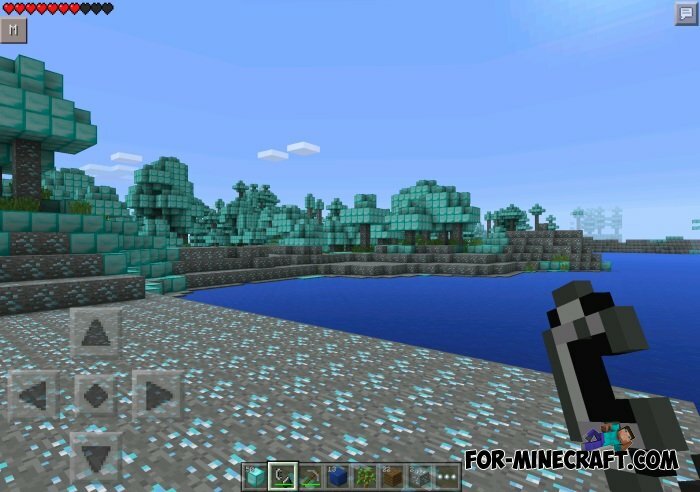 Then click use flint and steel on the portal block, to activate it. 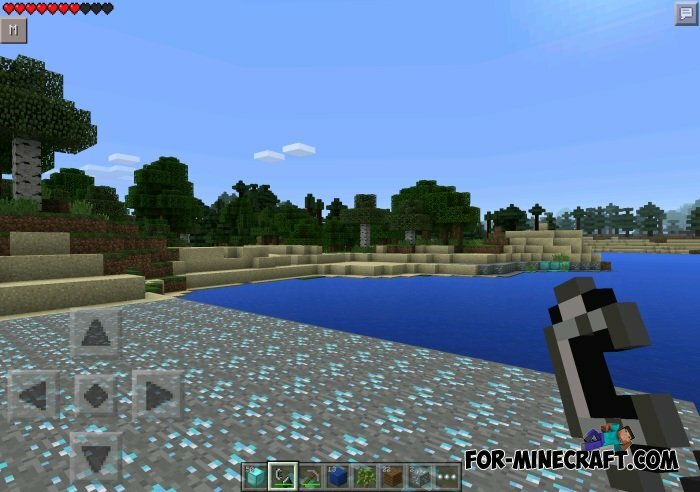 The world around you will turn to the World of Diamond blocks and ores.